As summer nears its end, my family is itching for more adventures — but not for a long road trip. A nearby solution is Bellingham, which has a fabulous collection of parks, museums and other attractions for adventurous Northwest families. The natural areas feel refreshingly wild, while the city — both downtown and the historic Fairhaven neighborhood — offers a dynamic small-town vibe with lots to see and do. The short 90-minute drive from Seattle means it’s far enough away to feel like an escape, but close enough to use less than a tank of gas. Here are our top Bellingham adventures. Just south of the city along scenic Chuckanut Drive, find all kinds of geologic and active adventures at Larrabee State Park. Explore the short waterfront trails at the beach, which feature interesting sandstone rock formations. Hike the 5.5-mile round-trip Fragrance Lake Trail, or drive up the bumpy gravel Cleator Road to hike the newer Rock Trail, completed in 2014. This fascinating trail is only 1 mile round trip and includes unique geological features called tafoni, which are honeycomb holes worn into the sandstone. Cliffs with exposed rock layers and conglomerates, as well as giant, mossy boulders, are more highlights of this trail. Tips: You can read about the tafoni and other geologic phenomenon on Dave Tucker’s excellent website, Northwest Geology Field Trips. A Discover Pass is required to park at Larrabee and all state parks. In Fairhaven, pick up fish and chips or clam chowder at the old red bus that is the home of Fairhaven Fish & Chips. At Fairhaven’s venerable Village Books, hit the Book Fare Café for espresso and yummy treats. Downtown, try an imaginative coffee concoction, such as The Black Widow, at The Black Drop Coffee House. Also downtown, Brandywine Kitchen serves up fresh and inventive food, much of it naturally gluten-free. No visit to Bellingham is complete without a cone at Mallard Ice Cream, the city’s premier ice cream shop. 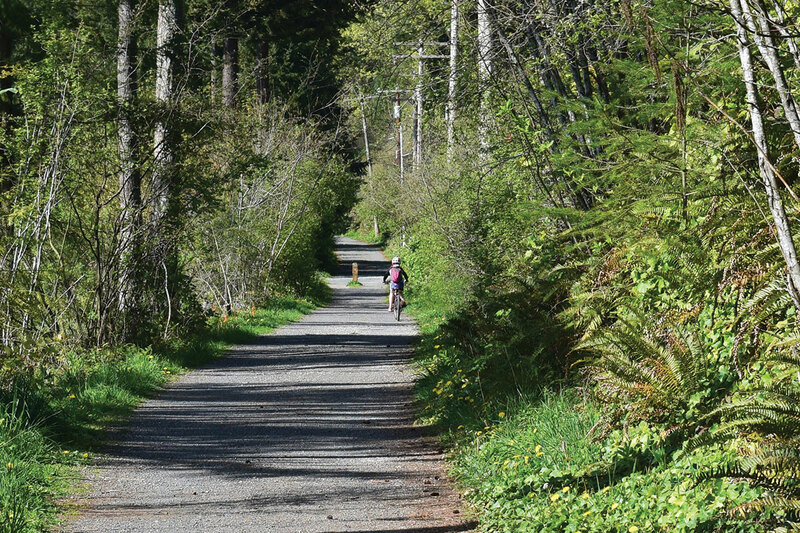 This old railroad-grade trail runs 12 miles from Fairhaven (Bellingham’s historic district) to Larrabee State Park. You can hop on the trail at Fairhaven Park and make the easy ride over to Arroyo Park, which makes a good turnaround spot. More ambitious riders can continue on to Larrabee State Park, but would need to detour around a missing rail trestle by finding their way through the dirt trails in Arroyo Park, or by riding a short section along Chuckanut Drive to California Street, where they can pick up the Interurban Trail again. Much of the ride is in the shade, but there are some dramatic peekaboo views over the water in spots. We walked our bikes in some difficult sections; mercifully, those were short. Tips: Children will enjoy the playground and large grassy fields at Fairhaven Park, as well as the labyrinth. Restrooms and running water are available there. For a gentle nature walk in the city, visit Sehome Hill Arboretum. Play in the rock tunnel and climb the tower, which you can climb to get a view of the treetops and the city. 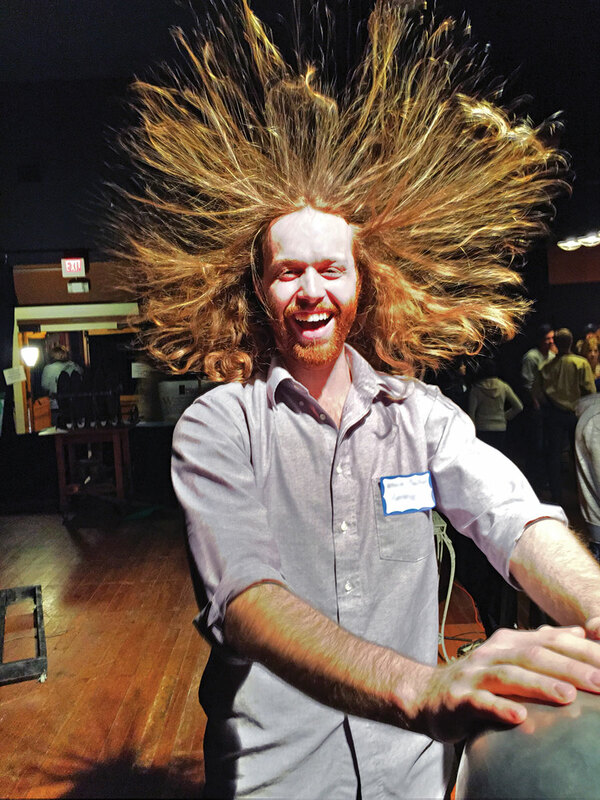 Next, head to Western Washington University’s Environmental Studies Building, where a free hallway museum displays a collection of rocks and fossil specimens local to Whatcom County and Washington. My kids were especially intrigued by the Diatryma fossil footprints. Tip: You can walk directly to the museum from the arboretum, or drive around and park on campus (be sure to bring a few dollars for a parking permit). If classes are in session when you visit, keep a respectful silence. For a quieter experience, go just around the corner to Mindport, a museum that explores art, science and music; my kids especially loved the marble contraptions and unique musical instruments. Finally, visit the John M. Edson Hall of Birds in the Whatcom Museum’s historic city hall building for interactive opportunities and lots of taxidermied birds. Tip: Across the street from the Spark Museum, refuel at Rocket Donuts, where gluten-free and vegan items are available. At Boulevard Park, a long, narrow shoreline park on Bellingham Bay near Fairhaven with stunning views of the San Juan Islands, kids can walk out on the boardwalk over the water, play at the nautical-themed playground or fly kites. Parents will appreciate the fabulous Woods Coffee shop (arguably the best coffee in the city), with its natural wood décor and second-floor loft for enjoying views over the water. Trails at Boulevard Park connect to the 2-mile-long South Bay Trail; if you’re feeling energetic, hike it (or bike it) from Fairhaven to downtown Bellingham. Tip: Parking at Boulevard Park is free, but can be busy on sunny days. Pitch a tent at Larrabee State Park on Chuckanut Drive (reservations recommended, and note that you’ll hear train noise). About 20 miles northwest of Bellingham, Birch Bay State Park is a large campground on the water with wonderful beaches that are perfect for exploring at low tide. If a hotel is more your family’s style, try Marriott’s SpringHill Suites in downtown Bellingham, with large rooms that feel more like apartments and include microwaves and mini fridges; or its sister hotel, TownePlace Suites, complete with kitchens. Bring your hiking shoes, biking gear and canoe, and play for a day at Lake Padden, a beautiful forested lake about 5 miles to the southeast of downtown. A kid-friendly 2.6-mile loop trail circles the lake, with other trails branching off. You’ll feel like you are in the mountains rather than just five minutes off the freeway. In the summer, families can fish or swim; and Yeager’s Sporting Goods rents kayaks and stand-up paddleboards (rentals Friday–Sunday, noon–6 p.m., find it inside the west entrance of the park near the swim beach). Tip: The southeast corner of the park has an off-leash dog area, with a few miles of trails for your furry friend to run free. 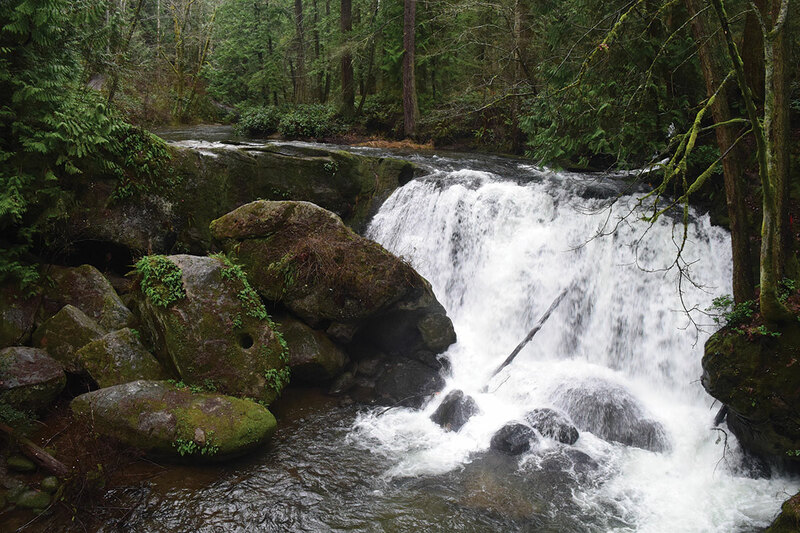 Miles of wide gravel paths and wilder dirt trails entice families to explore this beautiful park, located a few miles east of downtown Bellingham. One main waterfall tumbles underneath a historic stone bridge. Smaller waterfalls and rapids entice hikers to explore downstream. Kids will be interested in the fish hatchery on site, and can learn about salmon through the interpretive signs. The main paths are suitable for strollers and bikes. Seasonal fishing is allowed for children at Derby Pond. Tip: Swimming is not advised in Whatcom Creek because of dangerous undertows. This article was originally published in 2016 and updated in August 2018.